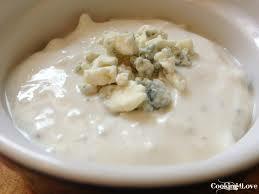 n a small mixing bowl, combine onion, celery, garlic, crema, vinegar, and blue cheese. Season with pepper to taste. Cover, and refrigerate for at least one hour before serving.